Recently I received an email about the gorgeous and stately island nation of Malta being the location of choice for many major upcoming releases - now usually I would have skipped over this email but a couple of things piqued my interest enough to post about it. Malta has been on our visit list for awhile, particularly as we constantly get updates about how great the diving on the Maltese Archipelago is. It's place in history merits a visit for anyone interested in European culture and it looks absolutely gorgeous with azure blue seas, natural beauty, old world charm and architecture as well as all the modern comforts. All of which would compliment any holiday rather well. So much so that earlier this year we had planned to visit Malta, as we were swept away by the elegant quaintness of the hotel and locations beautifully shot, by Cinematographer Christian Berger for Angelina Jolie's By The Sea. In the film Angelina Jolie and Brad Pitt couple, Vanessa and Roland are seeking sanctuary in the South of France during the 70s. Sadly that gorgeous French hotel doesn't actually exist but the beautiful rugged coastline of the Mgarr-Ix-Xini Fjord on Gozo, one of the three islands that makes up Malta - presumably chosen to symbolically reflect the distance and isolation at the core of the crises the couple are going through is very real. It's probably worth noting that By The Sea is the third film starring Brad Pitt with scenes shot in Malta. The others - World War Z and Troy. He must keep going back for a reason. In the end we decided on somewhere a little further North ... but that is another story. Additionally the films referenced in the email are actually really good recommendations to be highlighted. Most recently, many viewers were probably unaware that Malta locations were used for many scenes in season 1 of Game of Thrones, including King's Landing and Jason Momoa's Khall Drogo's home base near the Azure Window where he married Emilia Clarke's Daenerys Targaryen. MFC Showreel from Malta Film Commission on Vimeo. Both Ridley Scott's Gladiator & White Squall, Renny Harlin's Cutthroat Island, Desmond Davis' Clash of the Titans, Robert Altman's Popeye, Jerry Jameson's Raise the Titanic, Kevin Connor's Warlords of Atlantis, Guy Hamilton's Force 10 from Navarone, Alan Parker's Midnight Express, Sam Wanamaker's Sinbad and the Eye of the Tiger, Peter Hunt's Shout at the Devil, Gordon Hessler's The Golden Voyage of Sinbad and the list goes on. Even James Bond has filmed in Malta. Lewis Gilbert's The Spy Who Loved Me shot some short water based scenes with Roger Moore's James Bond and Barbara Bach's Major Anya Amasova ensconced in the escape pod. There is a great article over here about the world famous water tank facilities used in filming many above and below water scenes. 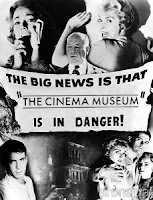 The water film facility was built back in 1964 when a British special effects wizard Benjamin Hole experienced difficulties filming out at sea on the Spanish coast when a storm brewed. With another water-based film coming his way he managed to persuade Malta, then still under British rule, to subsidise a tank build along the island’s coast. Jim was to create the world’s first special effects water tank. It also became unique for its natural horizon as it is built against the open skies and sea. This avoids the requirement of painted backgrounds or, in today’s age, green-screens. What began as a facility with one large 300 x 400 foot tank was later to develop into a second massive tank built in 1979 for Raise the Titanic. Concave shaped and 36 feet deep, it is ideal for underwater filming. Malta has served as a beautiful backdrop for films from Hollywood blockbusters to small independent movies for years. 2016 is no different, as the idyllic islands feature as the milieu for a variety of upcoming box office hits. Turquoise lagoons, concealed coves, prehistoric temples and unscathed cliffs – who can blame the rich and famous for wanting to film on a piece of these precious islands? The eagerly awaited Assassin’s Creed, a movie based on the best-selling video game started filming in Malta’s city centre. It features Michael Fassbender and Marion Cotillard in action-packed scenes, leaping from roof to roof amongst the baroque architecture. With Malta’s timeless beauty and deep historical architectural roots, it is the perfect backdrop for the script, which is about a revolutionary technology that unlocks genetic memories. 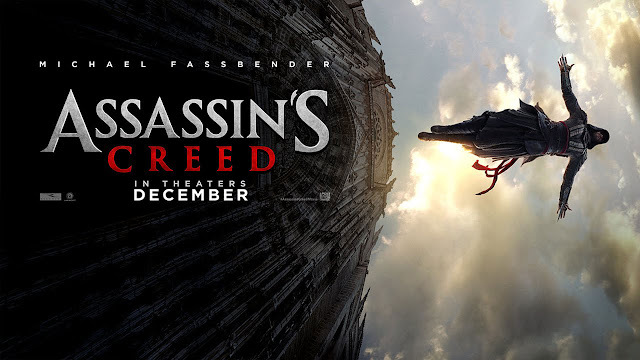 Well there are few that would not be aware of Justin Kurzel's high action adaptation of Ubisoft's Assassin's Creed console game for 20th Century Fox. The film sees Kurzel reteam with his Hamlet stars Michael Fassbender and Marion Cotillard. As well as taking the lead role Fassbender is producing Assassin's Creed and has promised that we can expect a Matrix inspired tale true to the game. He certainly is setting expectations high and as I have never played the game before anything sounds good to me at this point. But the inclusion of serious talent like director Justin Kurzel & cast like: Michael Fassbender, Marion Cotillard, Jeremy Irons and Brendan Gleeson. certainly have elevated my interest. If Assassin's Creed is successful we can expect Ubisoft to step up on the Splinter Cell adaptation. ASSASSIN’S CREED reunites Academy Award® nominee Michael Fassbender (X-Men: Apocalypse, 12 Years a Slave), with Macbeth director Justin Kurzel and co-star Academy Award® winner Marion Cotillard (The Dark Knight Rises, La Vie en Rose). The cast include; Jeremy Irons (Batman v Superman: Dawn of Justice), Brendan Gleeson (Calvary), Khalid Abdalla (The Kite Runner), Michael K. Williams (Ghostbusters) and Ariane Labed (The Lobster). The Lake will be released in January 2017, written by Luc Besson, directed by Steven Quale and considered to be one of the most ambitious international movies of the year. 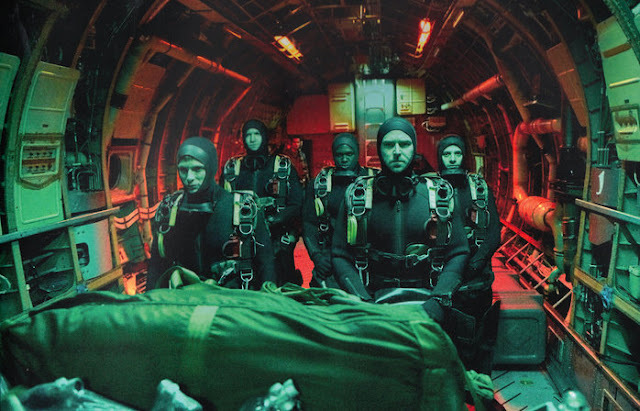 Over 6 months of filming in Malta with a high profile cast featuring actors including Oscar-winner J.K Simmons, Sullivan Stapleton and Ewen Bremner, this picture is set to be an underwater drama around a team of navy seals who discover an underwater treasure. Where else to film such aquatic endeavours than in the mysterious and tranquil sea surrounding Malta, recently voted third best diving destination in the world? Luc Besson and me go way back to when he was making (the) New, New French waves, later dubbed "Cinéma du look" with films like: Le Dernier Combat and Subway but it was The Big Blue and his underwater documentary Atlantis that were really engrained into my consciousness. I thought that he was going to be the new Cousteau but he went another way to become one of France's most prolific Director/Producers and the man behind the giant French studio EuropaCorp. Back in 2011 I had the opportunity to chat with Luc Besson and I asked if he would be retuning to make water based films. It was here that I discovered that his parents were diving instructors and he grew up in the water and loved it, but he said he would not be making any more water films. Well it would appear he is getting back in the water, albeit in the shallow end for now as he has written both: The Lake to be directed by Steven Quale. Quale previously co directed James Cameron's Aliens of the Deep documentary as well edited the Special Edition release of The Abyss which he was a Production Assistant on during filming. All things considered it seems he is the ideal fit, combined with a very watchable cast - The Lake should be one to look out for. And Besson has also written the currently under heavy wraps - Sea at War to be directed by Louis Leterrier. 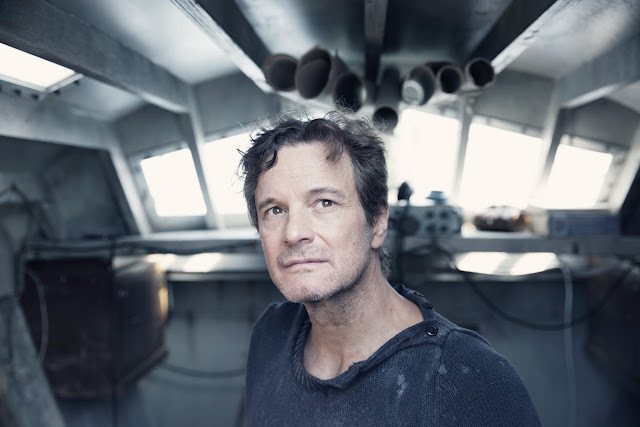 Perhaps the most anticipated blockbuster featuring Malta as a backdrop is The Mercy, starring a prestigious cast led by Rachel Weisz and Colin Firth. Based on a fascinating real-life story about amateur yachtsman Donald Crowhurst, whose failed attempt to win the 1968 Golden Globe Race ends with him creating a disastrous story of travelling the world alone by sea to cover up his failure. The Mercy is easily our most anticipated film on this list. We first heard about The Mercy when looking into Louise Osmond & Jerry Rothwell's Deep Water, a documentary about lone round the world sailor Donald Crowhurst narrated by Tilda Swinton. Deep Water looks absolutely superb. Off the back of that I discovered that there was a feature film in the making starring Colin Firth as Donald Crowhurst also called Deep Water. At some point the title changed to The Mercy lifted from one of Crowhurst's letters. Fortunately it still looks like one of the most engaging films coming soon. The highly anticipated feature from Academy Award® winner James Marsh, the director of THE THEORY OF EVERYTHING, will be titled THE MERCY opening in UK cinemas 6 January 2017. THE MERCY is based on the true story of Donald Crowhurst and his attempt to win the first non-stop single-handed round-the-world yacht race in 1968. The story of Crowhurst's dangerous solo voyage and the struggles he confronted on the epic journey while his wife Claire and children waited for his return at home is one of the most enduring mysteries of recent times. 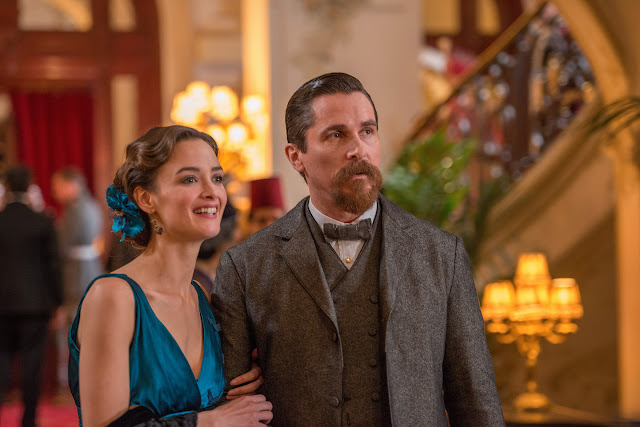 The upcoming historical drama The Promise brought more Oscar winners to Malta; it’s directed by Oscar winner Terry George and features Oscar winner Christian Bale alongside Oscar Isaac. The film turns the quaint streets of Malta into the last days of the Ottoman Empire, incorporating its historic and alluring landscape as the backdrop to a drama-filled love triangle. Any film that features Christian Bale's intensity has my attention but a film with Oscar Isaac in it too is almost certainly going to be great, possibly Oscar great! Add Charlotte Le Bon hot off Bastille Day into the mix and The Promise is going to be very watchable indeed. Set against the early 1900's Armenian Genocide the film was put together by billionaire Armenian Immigrant Kirk Kerkorian who wanted to tell the story of his home country. Kerkorian passed away but not before putting his dream into motion by creating Survival Pictures a studio to tell the story. Sadly entitling the film The Promise will almost certainly push Peter Kosminsky's absolutely brilliant and eye opening 2011, 4 part mini TV series for Channel 4 about Palestine/Israel also called The Promise into further obscurity. Kosminsky's The Promise is essential viewing for anyone with any interest in Middle Eastern affairs. 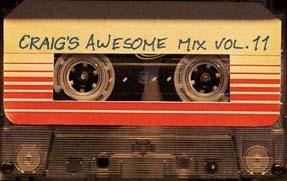 What do all these releases have in common apart from A-list talent in Malta? Their scripts required an unflawed nautical landscape to film in a setting not only aesthetically gorgeous, but also able to distort time and create a sense of antiquity. It’s no wonder the Malta Film Commission is continually able to attract such high calibre productions to its historic and beautiful panoramas.